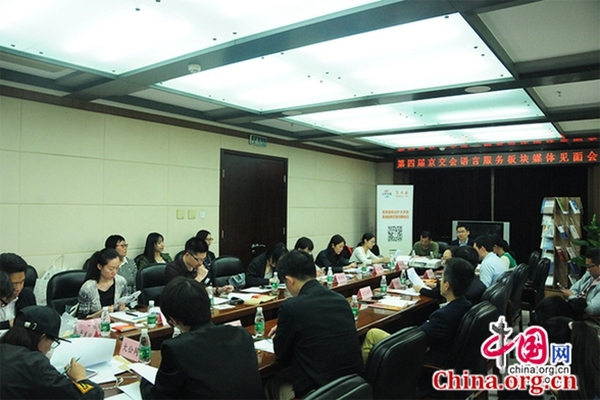 A language service promotion will take center stage at the fourth China Beijing International Fair for Trade in Services on May 31, aimed at brokering deals between language service providers and customers. The promotion, the first of its kind held at the fair, is designed to highlight the theme of the "Belt and Road" initiative and language services and will gather executives from leading players in the industry including Microsoft, Huawei, Baidu, Alibaba, Pacteraa nd LeTV. Yang Ping, deputy secretary-general of the Translators Association of China that organized the promotion, believes that the promotion will provide a rare opportunity for industrial players to buckle down the discussion of challenges and opportunities brought by the "Belt and Road" initiative and the strategy of "Go Global." As the "Belt and Road" initiative and "Go Global" strategy pick up steam, language services have come to the fore as an important vehicle in helping Chinese companies gain a foothold in the overseas market. According to data issued by the Translators Association of China, China had 55,975 companies providing language services at the end of 2013, an increase of 25 percent when compared with 2012. As a vehicle of communication and culture, language plays a significant role in building the "Belt and Road."